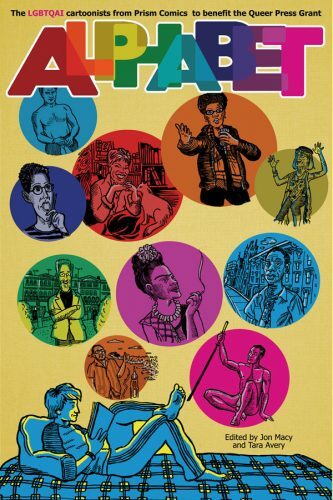 Prism Comics depends on community support from folks like you to do the work we do. Please consider donating to help defray convention expenses, to help fund the Queer Press Grant, and to help us gear up to do even more work for LGBT creators. 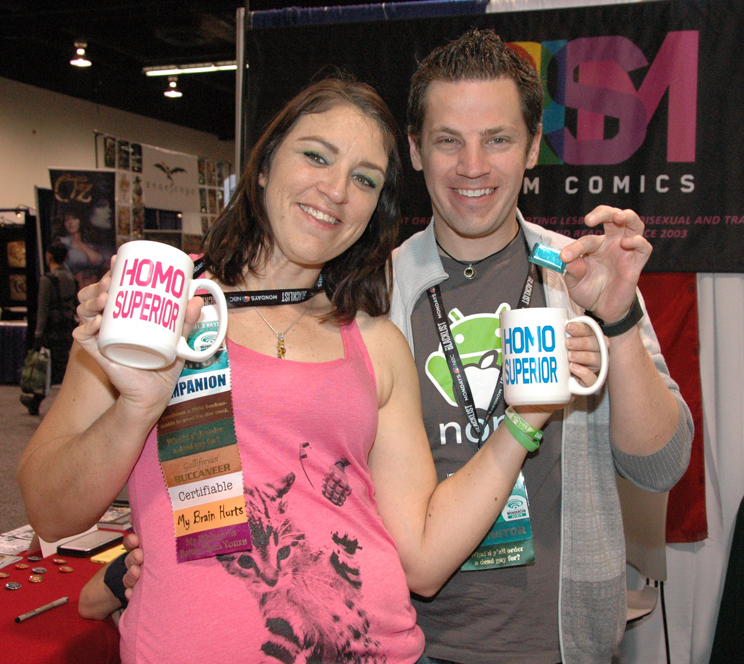 If you have any questions about making a donation, you can contact Ted Abenheim by email at ted@prismcomics.org. We’ve gotten a great deal of support from a wide variety of writers and artists in the industry, and we hope you’ll read their words and agree with them that Prism Comics deserves your support. Thanks for reading! 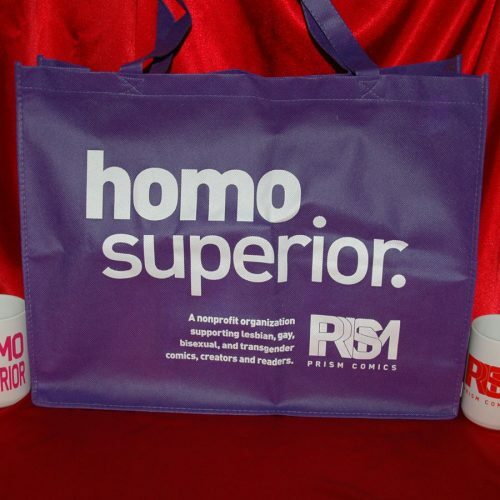 You can also help support Prism by buying one of our “Homo Superior” Prism mugs ($15) or tote bags ($7)! Get one, or both, today! 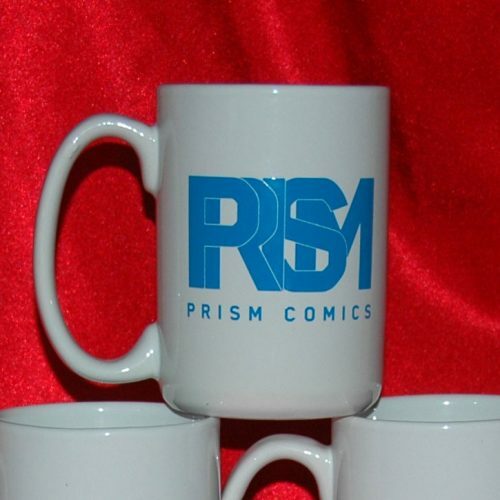 Prism Comics is a 501(c) 3 nonprofit organization, so all U.S. donations are tax-deductible to the extent allowed by law! Click here to make a one-time donation via PayPal.